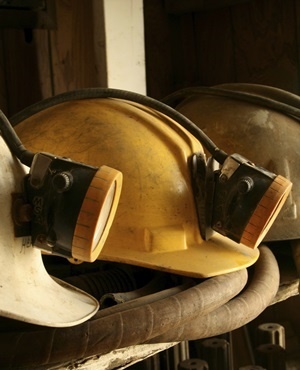 The Minerals Council of South Africa broadly supports the intentions and content of the new Mining Charter, but there are a few sticking points over which the council wants to engage the minister. The council issued its responses to the policy, which was gazetted by Minerals Resources Minister Gwede Mantashe last week. The council first acknowledged that the Charter reflects substantial engagement between key stakeholders, something which was missing in the previous version of the Charter, gazetted by former minister Mosebenzi Zwane. "The Minerals Council considers this charter to represent a policy instrument that provides a clear and durable framework for securing a transformed industry with meaningful broad-based economic empowerment within which the critical goals of growth and competitiveness can realistically be achieved," the statement read. However, there are a few drawbacks related to past BEE transactions. One of the issues the council has raised is the limited applicability of the ‘once empowered, always empowered’ provision. The provision will not apply to past BEE transactions if there has been a change of ownership in mining rights or if the mining right needs to be renewed. The council also highlighted positives in the Charter, among these include the removal of the requirement on existing rights to top up black ownership from 26% to 30%. "This is an important indicator to the industry, to investors and to rating agencies, that government will observe and respect the sanctity of transactions that have been undertaken in good faith," the council said. Government has also removed the requirement of a dividend equal to 1% of Ebitda (earnings before interest taxation, depreciation and amortisation). Minerals Council President Mxolisi Mgojo commented that the Charter shows that Mantashe struck a "reasonable balance", where all stakeholders are not "totally happy". "The Minerals Council will seek to engage the minister on the unresolved issues to find workable solutions," he said. Mgojo added that the Council supports the minister and the president’s efforts to attract investment in the sector.